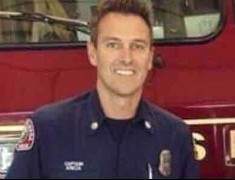 SANTA ANA, Calif. – A man was charged today with ­­­­­murder for driving under the influence of drugs and colliding with off-duty Costa Mesa Fire & Rescue Captain Mike Kreza, who was cycling in Mission Viejo. MISSION VIEJO, Ca. (November 3, 2018) – This morning just after 8 a.m. OCSD deputies responded to the scene of a traffic collision on eastbound Alicia Parkway near Via Burgos in Mission Viejo. Upon arrival, deputies found the victim, a male bicyclist in his 40s, laying in the roadway unresponsive with visible head and body trauma. The Orange County Fire Authority responded and transported the victim to a local hospital in critical condition. MISSION VIEJO, Ca. 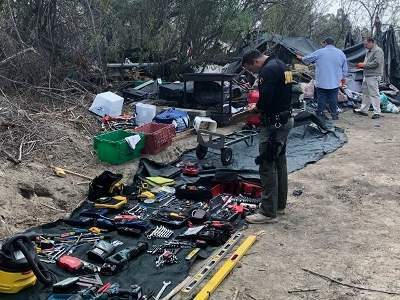 (Oct. 12, 2018) – Two men are in custody after Orange County Sheriff’s deputies found thousands of dollars’ worth of stolen tools and equipment stashed in a homeless encampment in the city of Mission Viejo. A wild police pursuit of a burglary suspect ended on Thursday in Santa Ana when the suspect ran into an Albertson’s Grocery Store located at 2000 E. 17th St., in north Santa Ana, according to the O.C. Register. SANTA ANA – A husband will be arraigned today for strangling and murdering his wife in their Mission Viejo home. Gary Lee Parsons, 74, is charged with one felony count of murder. If convicted, he faces a maximum sentence of 25 years to life in state prison. 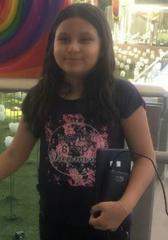 The defendant is being held on $1 million bail and is scheduled to be arraigned today, Thursday, Feb. 5, 2015, in Department CJ-1, Central Jail, Santa Ana. The time is to be determined. 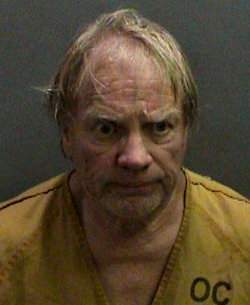 MISSION VIEJO, Calif. – (February 3, 2015) – On Tuesday, February 3, 2015, Gary Lee Parsons, 74, Mission Viejo, was arrested in connection with the homicide of his wife, Barbara Parsons, 73, Mission Viejo. Gary was arrested following a homicide investigation at the couple’s residence in the 27000 block of Pueblo Nuevo in the city of Mission Viejo. LAKE FOREST, Calif. – (January 10, 2015) – On Friday, January 9, 2015 at approximately 10:30 p.m., Orange County Sheriff’s deputies initiated a pursuit of a 2002 Ford Explorer in the area of Toledo Way and Serrano Road. The driver of the vehicle was suspected by deputies of driving under the influence of drugs and/or alcohol. Deputies pursued the vehicle for approximately (5) minutes through the cities of Lake Forest, Irvine and Mission Viejo. The pursuit terminated on southbound Trabuco Road near Carlota Road, Mission Viejo, when the vehicle was unable to negotiate a curve in the road and collided with an embankment. Anaheim Veterans Monument, 241 S. Anaheim Blvd. 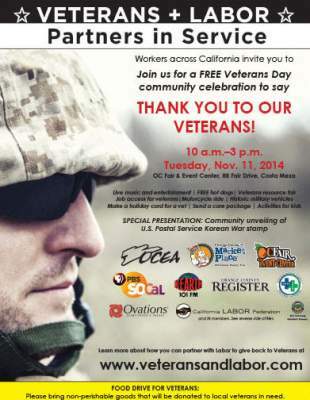 “Veterans and Labor – Partners in Service,” a special Veterans Day event, is set for Nov. 11, 2014 at the Orange County Fair & Event Center (88 Fair Drive, Costa Mesa). For more information, check out the Veterans + Labor website by clicking here. 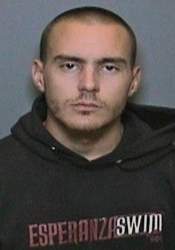 MISSION VIEJO, Calif. – (October 9, 2014) – On Thursday, October 9, 2014, Orange County Sheriff’s deputies arrested Jason Nicholas Miller, 33, Mission Viejo, on an outstanding felony arrest warrant for domestic violence, stalking and violation of a court order as well as obstructing/delaying a peace officer resulting from today’s incident. MISSION VIEJO, Calif. – (August 22, 2014) – On Friday, August 22, 2014 at approximately 11:30 a.m., a residential robbery occurred at 23300 block of Via Linda, Mission Viejo. The suspect forced open the front door of the residence and confronted an 82 year old female victim while she was lying in bed watching television. The suspect looked at the victim and told her “don’t move” while he ransacked her bedroom as well as other rooms in the residence. (Santa Ana) – The Orange County Health Care Agency has confirmed seven cases of measles in Orange County in 2014, which is consistent with an increase seen throughout California. The most recent cases spent time in public locations in Orange County while contagious.